While many senior citizens have somewhat of a stormy relationship with the word cannabis – mainly due to decades of prohibition and disproportionate law enforcement – many of them are now embracing at least one compound inside the controversial plant called CBD or Cannabidiol. As more and more states across the U.S. move to legalize cannabis – some for medical purposes and some for recreational – many pensioners find themselves with a lack of information regarding things like CBD. Until recently, cannabis was considered almost a swear word in some communities, and that tide is changing slowly but surely. The fact that so many people buy CBD online in this day and age can also put some senior citizens at a disadvantage, especially if they’re not computer savvy. That’s why we wanted to reach out to the older and wiser to simply offer 3 reasons why senior citizens buy CBD online at an increasing rate these days. For starters, it’s 100 percent organic and non-addictive. 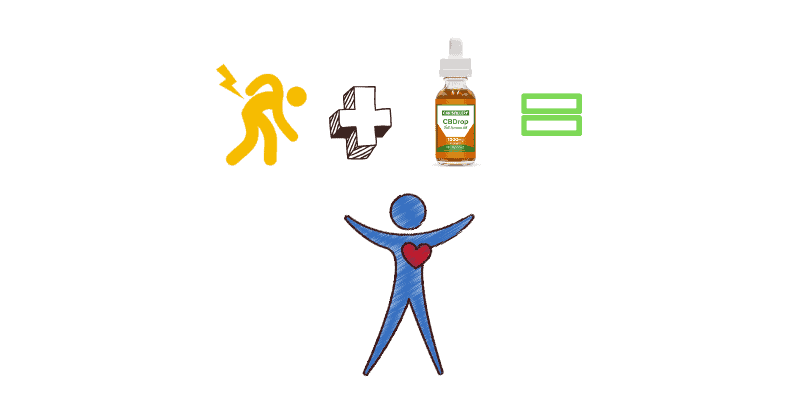 Secondly, CBD comes in many different, easy-to-take forms and can address a multitude of different health issues. There are so many senior citizens who have improved their quality of life in a drastic way having moved from toxic and addictive prescription drugs to naturally occurring substances like CBD. The fact that CBD can help with so many age-related diseases makes it a natural choice for the seniors among us – whether in capsule form, softgels, CBD cream or tinctures. 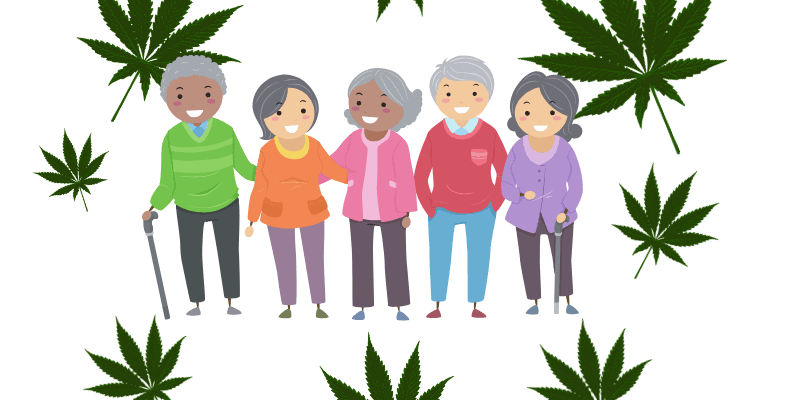 Senior citizens can benefit from CBD to treat symptoms such as pain, to improve bone health and to enjoy a non-toxic stress reliever that comes with zero side effects as far as most people are concerned. Time to take a closer look at the 3 reasons why senior citizens are moving towards CBD. Unfortunately, most people over the age of 65 can tell you a thing or two about the daily trials and tribulations of living with chronic pain. Research shows that something like 50 percent of senior citizens who live alone and around 80 percent in care facilities suffers from chronic pain on a daily basis. The fact that pain in the elderly is severely undertreated simply makes matters worse and presents various health consequences. These can include depression, anxiety, and of course decreased mobility. Many pensioners don’t even report their pain as they think it’s just part and parcel of the aging process. Others worry about oppressively expensive health plans that offer little-to-no pain treatment in any event. That’s why the best CBD for senior citizens to buy online is something that takes a bunch of time and research but is certainly worthwhile. Pain is such an issue for the elderly that the NIH even created a Pain Consortium in order to study different aspects of pain prevention and the best treatments for them. This gamut also includes CBD which has been shown to help the elderly with chronic and recurring pain symptoms. Another factor to consider is that prescribing medication for the elderly is tricky, as many suffer from multiple symptoms such as diabetes, heart issues, and arthritis, among the most common. CBD cuts through all the doubt as it proven to be safe for consumption. One of the most difficult issues facing many senior citizens is that of sleep, or more accurately, sleeplessness. As we age we need less sleep; in contrast with babies who sleep for most of the day. Another issue facing the elderly is getting good quality sleep and staying asleep for the night. While so many pensioners are given strong and toxic sleeping pills by their doctors, many people find they can achieve the same level of quality sleep just from taking some form of CBD before bed. It’s during the deep sleep phase when our brain regenerates and toxic substances are released through the body. As such, good quality sleep isn’t just something important, it’s actually life-saving. Getting good sleep is associated with delaying or completely stopping the onset of Alzheimer’s disease and glaucoma. CBD is known to help in the extension of the deep sleep phase as well as to reduce the amount of lighter sleeping phases. Another point of interest is that in small doses CBD has been reported by some users to be uplifting. On the other hand, when taken in large doses by people who want a good night’s sleep, CBD is very relaxing and leads to better quality and longer sleep times in many. CBD is a unique compound in that it acts both as a stimulant and as a sedative depending on the dosage. No matter what dose you take though, there’s no question that if CBD works for you and gives you the sleep you need, it’s well worth sticking with in favor of cutting the addictive sleeping pills out completely. 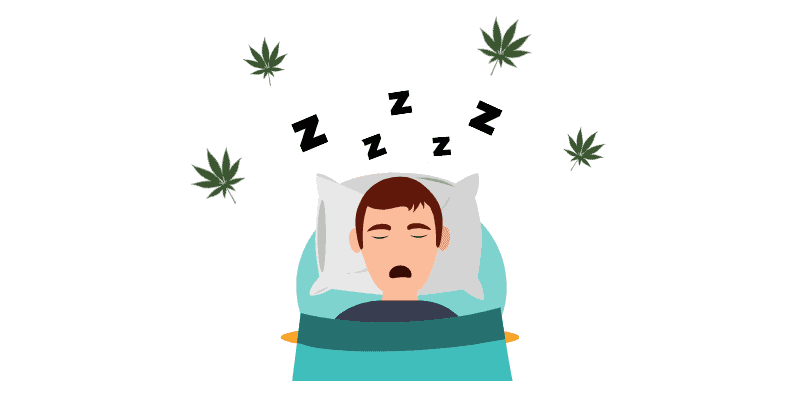 Many patients also see a great improvement in their general health when their sleep is good and that fact alone makes a very compelling case for CBD. The CDC statistics published recently are very damning for the pharmaceutical industry and simply shocking for the average person to read. While 49 percent of Americans used at least one prescription drug in the last 30 days, roughly 12 percent of people used five different drugs in the same period. This all adds up to a lot of money for big pharma and serious addiction and health issues for consumers. It’s shocking to think that there are roughly 90 deaths per day in America from prescription opioids. 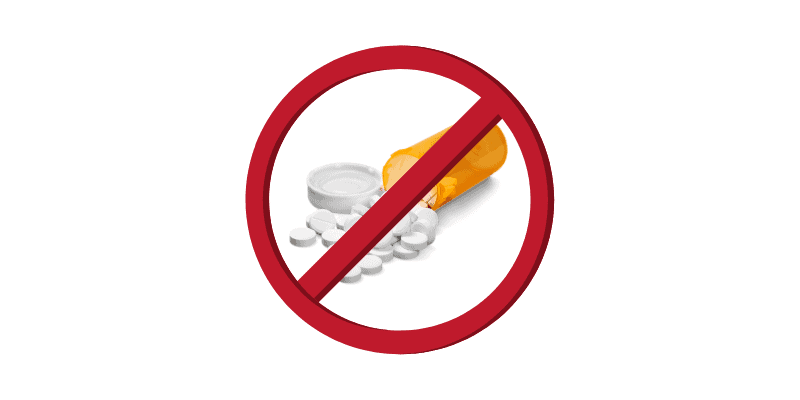 The fact that many of those deaths occur in patients who took their medication according to the instructions given just makes matters even worse. The good news is that CBD has never taken a life, and most people don’t get addicted nor feel any side effects from it. That alone should be enough to make the case for choosing CBD over prescription drugs but there’s more; a whole lot more. A 2017 study by Reiman et al found that 93 percent of patients would prefer to take a cannabis derivative over an opioid, while 97 percent of the people in the study said they strongly agreed or agreed that cannabis products like CBD enable people to come off of opioids or to never start with them in the first place. These worrying statistics speak for themselves as the senior citizens of the world educate themselves about the revolutionary new natural remedy called CBD. There may be a long road ahead but the tide is slowly turning in favor of non-addictive alternative options that previously could only be treated by strong prescription drugs. As people learn more about the benefits of CBD the next step is to do research in order to ensure that the product you are buying is both safe and comes in at a reasonable price.